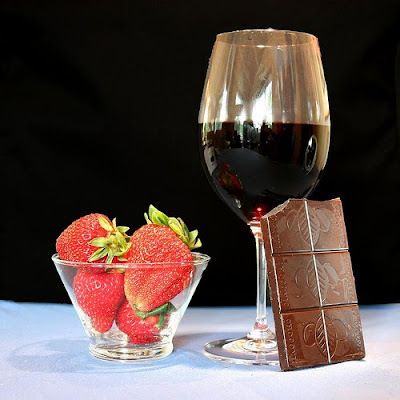 I’ll be writing about Port and rosé tomorrow--two of my favorite wines this time of year--but for now I thought it would be interesting to focus on a pairing that divides people as much as it unites them in agreement: Dry red wine and chocolate. Personally, I’ve never been a big fan, even with the best chocolates, of pairing them with dry reds...and even then I tend to be skeptical. Except for a very few instances, the chocolate tends not to bring out the best in the wines, making them a touch astringent. Still, some people are passionate about the pairing, and I thought that this would be a good time to include a video (this one is from the Wine Spectator) that discusses some of the details and strategies for making the most out of this high-wire act. It’s risky, but the rewards can be substantial. Nice blog. Appreciate the combination of Wine and Chocolate. It was nice going through your blog. keep it up the good work.